Checking in to the Royal Livingstone Hotel Zambia at Victoria Falls is an experience. Bringing first impressions to a whole new level, here we’ve unveiled the world’s top five hotel lobbies – talk about a grand entrance! Dubai doesn’t do discreet, so it’s little wonder that at Burj Al Arab – considered by many as the world’s most luxurious hotel, it also boasts the world’s tallest atrium soaring 180 metres above the lobby. The word ‘boasts’ is key here, as there’s nothing subtle about the design. Think 22-carat gold leaf detailing, Italian marble, Brazilian granite, rich colours, aquariums and some of the most luxurious designer outlets on the planet, and that’s just the entrance! Sure, the Mandarin Oriental might feature luxury suites, a Michelin-starred restaurant and an indulgent day spa inside, but from the lobby’s 38th-floor vantage point, we’re more interested in what’s outside. With 360-degree views across the Tokyo metropolis, the lobby’s west side overlooks the Imperial Palace and Mount Fuji, while the east side takes in a panorama featuring the Tokyo Skytree (aka the world’s tallest broadcasting tower), and the Sumida River. Mind you, view-gauking is hungry business so this opulent space also features a sushi bar and the Tapas Molecular Bar, serving a 20-course tasting menu. A newcomer to Thailand’s luxury resort scene, just outside of Pattaya, Phratamnak’s lobby area has been fitted out with two large aquariums, giving it a ‘dramatic marine theme’ according to the website. One of the aquariums has been themed ‘the predator tank’, housing blacktip sharks, stingrays and large sealife, while the other tank has a coral reef with exotic species such as angel fish and butterfly fish. This Californian landmark might be best known for its Rooftop Lounge Bar, but that’s if you can make it past the glittering entrance, which has taken out the Guiness World Record for the largest hotel lobby at almost 4000 cubic metres. Centring around a 15-story atrium, the ground floor is dominated by fairy lights and a stunning abstract golden sculpture, dubbed by many as the metallic pan-scourer. 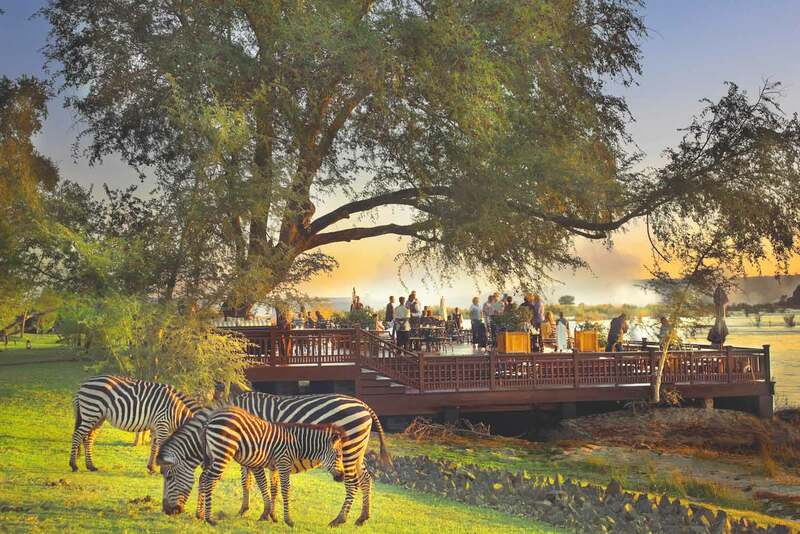 Putting a twist on the traditional lobby experience, guests at The Royal Livingstone are transported to the property by water taxi, as it sits on the banks of the Zambezi River, just a short walk to The Victoria Falls. Once they arrive, check-in is at the hotel’s jetty, where guests are treated to hand massages and a fruit cocktail. Think we’ve left one out? Let us know below!